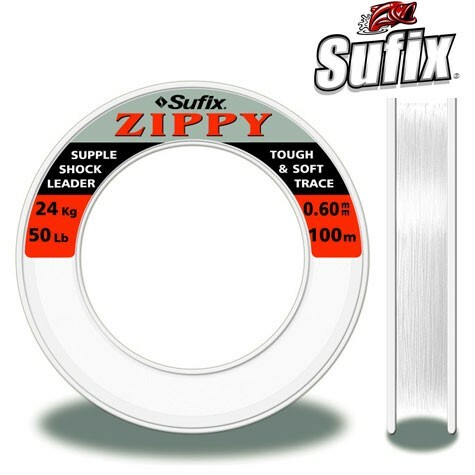 Sufix Zippy Leader Material Probably the softest easy handling trace or leader mono we have seen. Zippy retains tremendous knot and crimp strength as well as good abrasion resistance and its suppleness enhances lure action and aids long distance casting. FREE Delivery on all Sufix Shock Leader/Rig Body/Hook Length over £100!! !